Most people would never have guessed that BMW’s first mid-engine sportscar since the M1 would go on to win a "World Green Car Of The Year" award, but the i8 actually did it at the 2015 edition of the event. The i8 is the second BMW model to win the award in a row, after the smaller i3 cliched victory in the World Green Car Category in 2014, and the third model if we also include the title won by the BMW 118d in 2008. "I am delighted to accept this award on behalf of the team in Munich," said Dr. Ian Robertson, Member of the Board of Management of BMW AG, responsible for Sales and Marketing BMW, speaking at the Award Ceremony in New York. 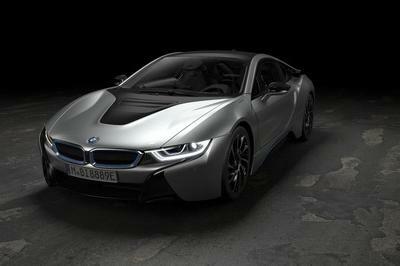 "The BMW i8 represents the future with its unique lightweight construction and unrivaled connectivity. To win this award for the second year in a row shows that our BMW i products are truly leading the world." Even though it is touted as the first plug-in hybrid built by BMW and it features low-rolling resistance tires, the i8 is also a sports car at heart. 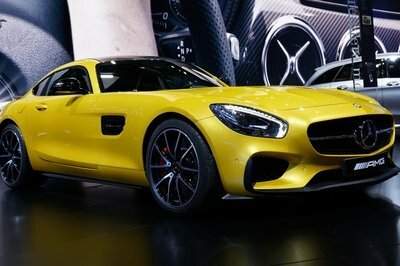 The model is powered by a turbocharged, 1.5-liter, three-cylinder with 228 horsepower and 236 pound-feet of torque. An electric motor delivers an extra 129 horsepower and 184 pound-feet of torque to the front wheels, essentially making the i8 all-wheel-drive and giving it a combined output of 357 horsepower and 420 pound-feet of torque. 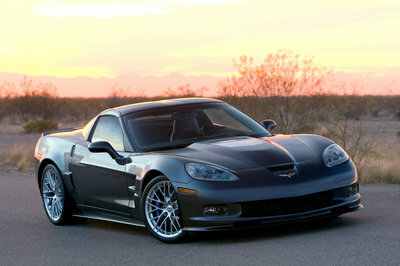 That’s enough for a 0-60 mph time of 4.2 seconds and a 155 mph top speed. Continue reading to learn more about the BMW i8. The BMW i8 was previewed by two near-production concept cars, the Vision Efficient Dynamics in 2009 and the i8 Concept in 2011. It finally went on sale last year as a 2015 model, just a few months after its little brother, the BMW i3. 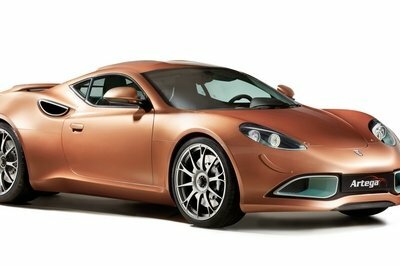 Thanks to a 7.1 kWh lithium-ion battery and an all-electric range of 15 miles, the mid-engine sports car can deliver an EPA-rated fuel economy of 76 mpg-e. Despite reports indicating the contrary, BMW has played down rumors that an M-version of the i8 may also be in the works, so don’t dream about a green M1-revival any time soon. 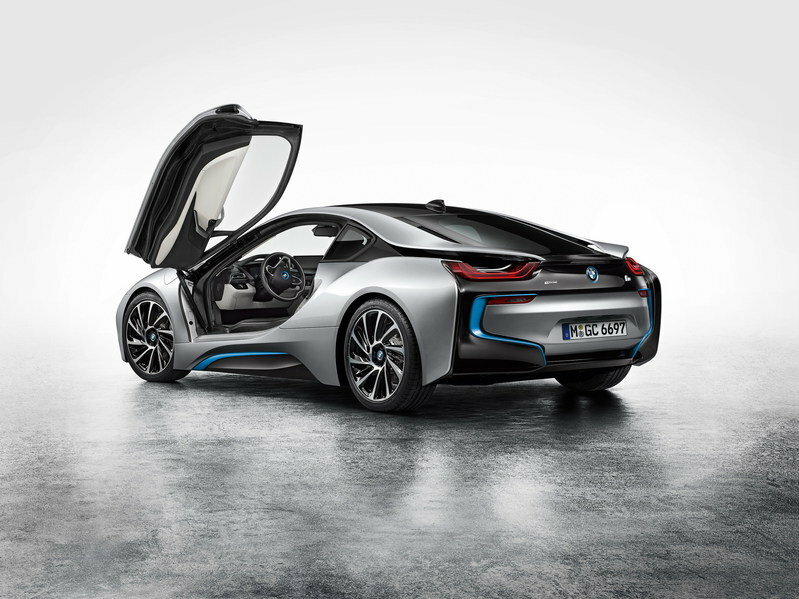 Even so, the i8 plays in two categories as it is, since it is cross-shopped with both sports cars like the Porsche 911 and sporty EVs like the Tesla Model S.
The BMW i8 was declared the 2015 World Green Car at a press conference hosted by the New York International Auto Show, Bridgestone Corporation, and Autoneum. This is the second year in a row that the BMW Group has won the World Green Car title and the third time since 2010. The BMW i3 won the 2014 World Green Car award while BMW’s BlueMotion technology won the award in 2010. In total, the BMW Group has won a total of four World Car Awards including the prestigious overall World Car of the Year in 2006 for the BMW 3-Series. The BMW i8 was chosen from an initial entry list of 10 new vehicles from all over the world, then a short list of three finalists that included the winner as well as the Mercedes-Benz S 500 Plug-In Hybrid and the Volkswagen Golf GTE. To be eligible for the 2015 World Green Car award, a vehicle had to be all-new, or substantially revised, in production and introduced for sale or lease to the public in quantities of at least 10 in at least one major market during the period beginning January 1, 2014 and ending May 31, 2015. Tailpipe emissions, fuel consumption, and use of a major advanced power plant technology (beyond engine componentry), aimed specifically at increasing the vehicle’s environmental responsibility, were all taken into consideration. Due to the complexity of some of the ’green’ technologies, five green experts are appointed annually by the World Car Awards Steering Committee to extensively review all documentation and specs associated with each candidate. 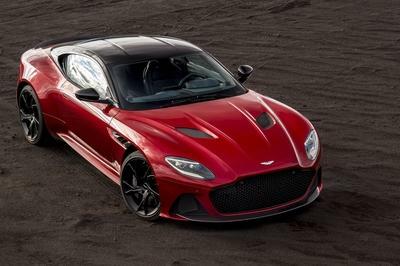 The 75 World Car Awards jurors then voted on the expert’s recommendations in February and their ballots were tabulated by the international accounting firm KPMG. The five green experts are in alphabetical order:Phil Berg (USA - PopularMechanics.com); Richard Bremner (U.K. Autocar magazine), Claus-Peter Koeth (Germany - automobil-industrie.de); Yumi Kawabata (Japan-environmental journalist) and John Voelcker (USA - GreenCarReports.com). Previous World Green Car winners were the BMW i3 (2014), the Tesla Model S (2013), the Mercedes-Benz S 250 CDI BlueEFFICIENCY (2012), the Chevrolet Volt (2011), the Volkswagen BlueMotion (2010), the Honda FCX Clarity (2009), the BMW 118d with Efficient Dynamics (2008), the Mercedes-Benz E320 Bluetec (2007) and the Honda Civic Hybrid (2006).